Whether it’s cocktails by the pool or a few beers at a barbecue, with Summer comes lots of drinks! Sorry to be the bearer of bad news… But, As refreshing as a cold beer or fruity cocktail may seem at the time, they’re doing nothing for your body on a hot Summers day and can lead to a number of health issues such as dehydration and heat strokes. 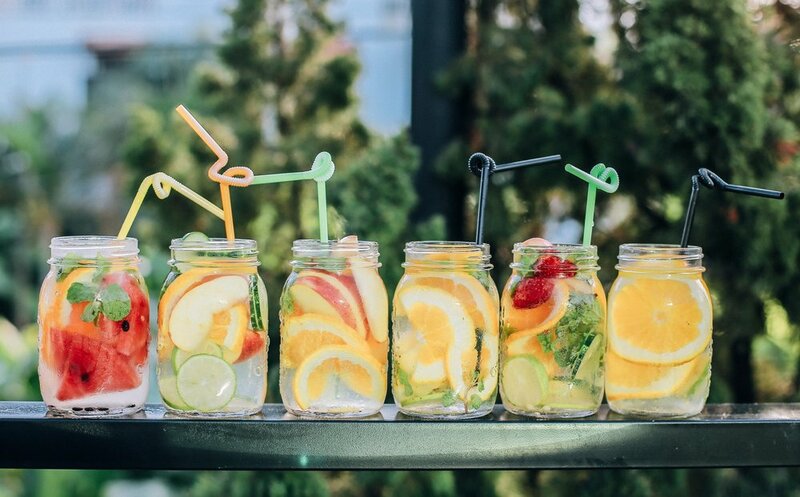 So we’re here to 1) remind you to keep on top of your water intake in these hot months! And 2) share with you 3 of our favourite mocktail recipes, no alcohol, just tasty goodness! Mojitos are fresh, fruity and super refreshing making them perfect for a hot summers day. The simple syrup is made from coconut super as opposed to processed sugar which still gives it it’s sweetness without all the nasty bits! To make a simple syrup, combine 1 cup coconut sugar with 1 cup water in a medium saucepan. 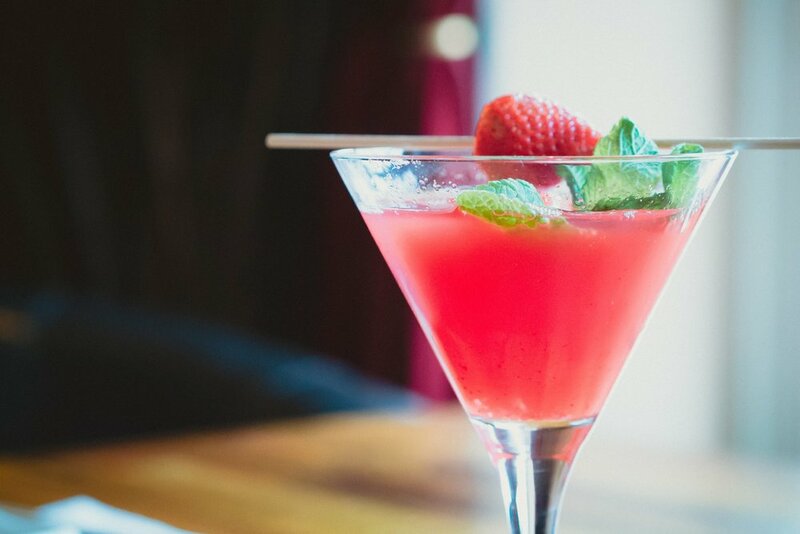 In a glass, add raspberries, mint leaves and the simple syrup and squish together until all ingredients are combined. Nothing beats the taste of watermelon on a hot Summers day. 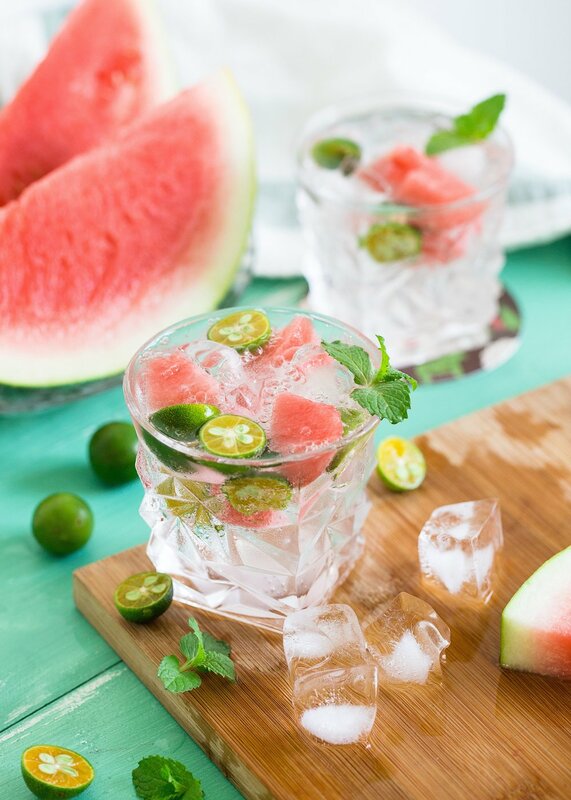 As watermelons consist of around 92% water, this tangy mocktail is light, refreshing and hydrating. Halve the watermelon and cut the flesh into chunks, transfer to the freezer and leave for an hour to get really cold. Slice 2 thin round slices from each of the limes and set aside for garnish, then squeeze the juice from the remaining limes into a blender. After an hour, remove the watermelon from the freezer and add to a blender, along with the sugar or honey, chilled soda water and the mint leaves. Blend until smooth and pour into a jug filled with the ice cubes. Garnish with the reserved lime slices and the mint. If you’re going alcohol free because you’re on a health kick, this one is most definitely for you! This tasty mocktail is bursting with goodness such as pineapple which supports a healthy digestion and is high in vitamin C which is great for immunity! Ginger is also great at supporting a healthy digestion and Chia seeds are high in good quality protein and omega 3 fatty acids which supports heart health! Blend together all the berries with the grated ginger and add a splash of water. Blend the chopped pineapple in a clean blender with either a splash of water or apple juice to help it blend easier. Pour the pineapple mix over your berry mix and garnish with chia seeds!